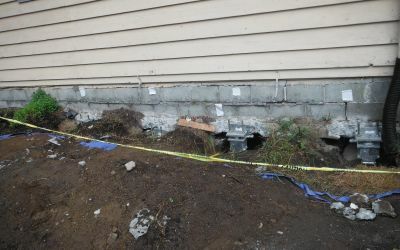 Knowing the early signs of foundation issues will help in preventing bigger problems. 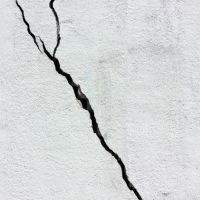 You may notice hairline cracks here and there, but when bigger cracks appear in foundation walls, interior walls or even on your concrete floors, you should be alert to bigger changes happening. 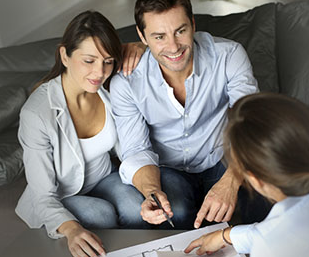 Here at Innovative we have trained experts to provide an evaluation of the foundation of the home. At Innovative Foundation Solutions, we know that not all houses and buildings are not built the same. We offer complete solutions custom-designed to fit your needs. We don't limit you to one manufacturer - we find the best solution to save you money! 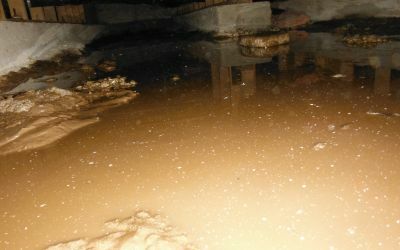 Water in your Crawl Space? Have you ever gone down to your crawl space to address one issue and come across something you did not expect? Yes- standing water in your crawl space! 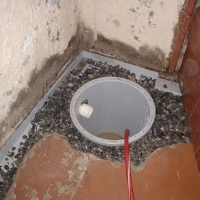 Water intrusion is a problem that is common in crawl spaces because water finds a way in, typically through the cold joint and below the footing. 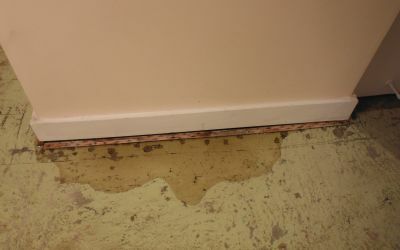 At Innovative Foundation Solutions we specialize in addressing water issues that often affect basements. 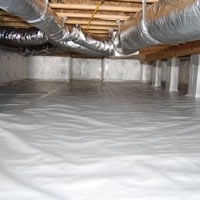 From addressing water intrusion through the walls, floors, and/or cold joints to installing specialty basement floor tiles, the professionals at Innovative will be able to offer a variety of waterproofing solutions. We fix basements and foundations problems permanently! Have you noticed any cracking in your foundation walls, problems opening and closing windows or doors, sagging and unlevel floors? 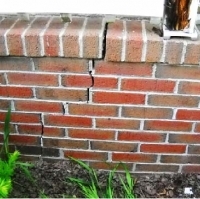 These are symptoms of structural foundation problems. It is a good idea to have your foundation inspected by a trained consultant that will help identify the problem and offer the perfect solution. 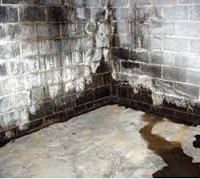 Does your basement or crawl space experience water leakage, damp or musty odors, and/or have mold? These trouble causing issues should not be ignored, although most often are. Finding the proper solution for these problems is the first step in creating a healthy living environment for you and your home. Innovative Foundation Solutions, LLC. specializes in foundation repair, concrete, crawlspace repair and basement and crawlspace waterproofing for both residential and commercial structures. Innovative is a locally run, accredited BBB company with a A+ rating, fully insured and bonded company that promises quality and superior customer service. We use quality materials from a wide network of distributors that boast cutting edge industry technology in waterproofing and foundation repair. 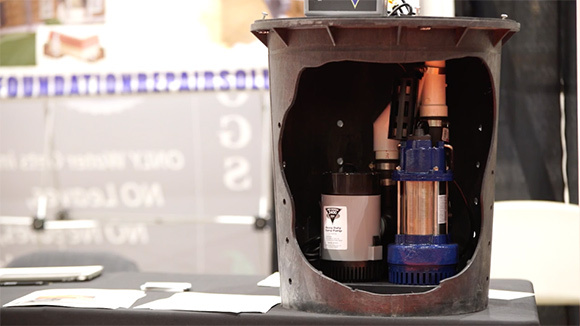 Innovative Foundation Solutions offers customers what other companies simply cannot: Permanent solutions to your foundation repair and waterproofing needs with transferrable warranties on patented systems. If you are having issues with unleveled or sagging floors, cracking in your foundation, concrete, and/or water in your basement or crawlspace, give us a call at 206-535-2886 to schedule a no-obligation home inspection with one our knowledgeable certified System Design Specialist. We are your foundation and waterproofing specialists in the Puget Sound. After having Innovative Foundation Solution installed water guards in my basement I can sleep like a baby. No more worries about my basement being flooded with the triple safe sump pump planted in my basement. The crews were very professional and hardworking. It was the best investment I ever made to my house. It was worth every dime I spent on it. I am very glad I went with Innovative Foundation Solution. No regrets WHATSOEVER. If you have water in your basement I would highly recommend you call this company first before signing on the dotted lines with their rivals. This crew was great and gave me perfect advice. I had been waiting for years to have my basement renewed and I really needed it waterproofed having been through a few floods in my basement. It feels very liveable now and I am so pleased to finally have this accomplished and it feels so much cleaner and dry. The entire team was great and very hospitable throughout the time period of reconstruction. Thank you Innovative Foundation Solutions! I really liked their personal service. Innovative Foundation Solutions really treats their customers well. Prompt, professional, personalized attention! The Innovative Foundation Solutions team put my fears to rest from start to finish. The design specialist listened to my concerns, developed & described the repair and had a formal solution in my inbox within 24 hours - on a weekend!!! The foreman explained each step and left the yard seemingly untouched. And the front office made me feel like I was there only customer. Innovative was the best phone call I’ve made this year! My father was noted for customer service and quality of workmanship, Innovative Foundation Solutions gave me that same sense of professional, personalized attention. 100% satisfied! We were very happy with all those on the work crew for the excellent work they performed, for their gracious manners, and for their professionalism. The finished product in our basement is impressive. We have retired our Shop-vacs, and we now feel secure as the Seattle rain comes down. Excellent system. Solved our drainage problem permanently. The entire process handled professionally, from initial contact to project completion. We also had our crawl space sealed and carpet/flooring tiles installed. Everything looks great. Our basement is dry. No more musty odor. Highly recommend this company. I did alot of research on the subject of water issues in basements and talked to lots of experts on the subject. . Your (Innovative Foundation Solutions) design was by far the best. My basement would flood periodically from fall through spring every year. Since the system was installed, I've endured many extreme water events in my area with not a trace of moisture. The work was completed on time and the quality and communication was top-notch. Rain is no longer a bad thing. 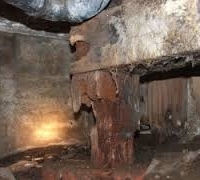 Innovative did a fabulous job with our crawl space. It encountered water and thirty five year old construction debris in their work and put in long hours to complete the job. Prior to this work being done by Innovative there was mold in the living room and now this problem is gone. Since my crawlspace restoration, I joke with my visiting family members asking if they want to go hang out in the crawlspace. So far I have had no takers, their loss! The crew(s) worked continuously and only took a short break to eat lunch on the lawn. My wife offered to them to come sit on the deck in our deck furniture, but they would not do so. I monitor the temperature and humidity daily and it is always about 60 F and 70 % humidity. Even when it is in the low 40s or high 30s outside, raining cats and dogs, dry and foggy, etc. No bugs, or other worse stuff in there so far. No signs that they will return either! Thanks Innovative Foundation Solutions! 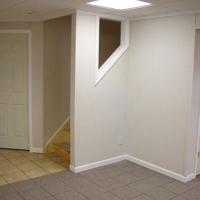 Innovative Foundation Solutions took on a very difficult project for us that involved 7 distinct town home buildings. The project took time and patience on the part of all parties and Innovative rose to the challenge. There system has ensured no water intrusion since completion. A great big thank you!